This image was taken 5 days post experimental inoculation with viscerotropic velogenic Newcastle disease. Bilateral facial edema has produced a square-shaped face, best appreciated from this vantage point. There is bilateral swelling of the face, giving the head a “square” contour. 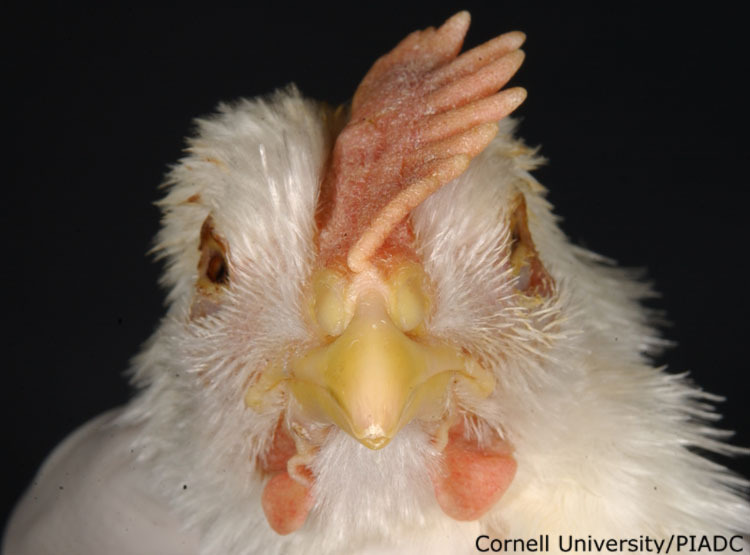 The eyelids and the ocular feathers are covered by small amounts of yellow crust and the eyelids are swollen.